One of the best things about Android is the seemingly endless possibilities when it comes to choice. Tons of manufacturers including Samsung, Motorola, and HTC release several new Android phones each year, resulting in an extremely diverse selection of phones in all different shapes and sizes. But having so many options can also make it difficult to find the phone that perfectly suits your needs. 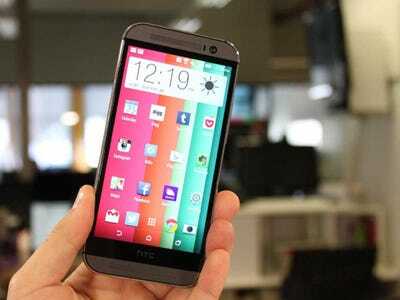 Some factors such as design and screen quality can be subjective, but of all the offerings available today HTC’s new One M8 is the best Android phone you can buy. It costs $US199 on a two-year contract with AT&T and Sprint, and Verizon is offering the phone for $US99 on contract. You can pay $US24.40 per month through T-Mobile, or purchase the phone from any carrier contract-free for $US650. 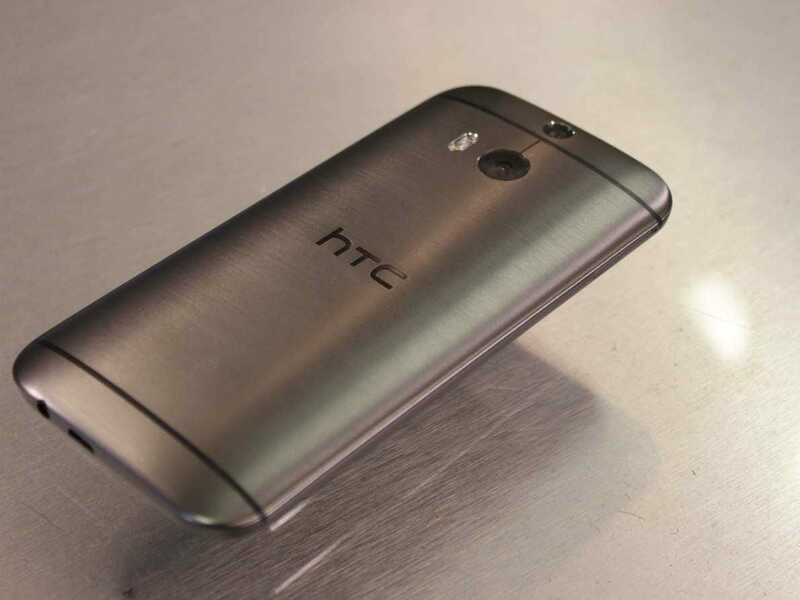 When HTC unveiled the first One back in 2013, critics raved about the device. It was the first Android phone that could actually rival the iPhone in terms of build quality. HTC’s One phone is made of a sleek aluminium that gives it a sturdy yet premium feel, compared to phones from Samsung and LG that are either made of plastic, polycarbonate, or faux leather. HTC has maintained that same build quality with its new One, too. Not only is the design polished and attractive, but the phone offers some of the best audio and visual experiences you’ll find on a mobile device. HTC’s BoomSound speakers are still unrivalled — the sound is richer, louder, and cleaner than any of its competitors. The HTC One M8 doesn’t have the best smartphone screen (that title goes to Samsung’s Galaxy Note 4), but it’s pretty good. The screen has a 1080p resolution just like the Galaxy S5, and even though other phones such as the LG G3 have displays with higher resolution, there isn’t much of a noticeable difference in everyday usage. Although the screens on Samsung’s phones tend to make colours appear more boldly, the display on HTC’s One is crisp, clear, and large enough to make it suitable for reading, streaming Netflix, and playing games. Colours sometimes appear more realistic on the HTC One’s phone compared to Samsung’s since colours aren’t exaggerated, but that may be a matter of personal taste. The One M8 also lasts fairly long on a single charge, too. I was able to get a full day out of it when I tested the phone, and battery tests from CNET, Engadget, and Ars Technica appear to match my results. It’s not the same level of battery life you’d get from bigger phones with larger batteries (like the Note 4 or Nexus 6), but it’s more than enough to get you through the day. The One M8 comes with a ton of new camera features, too. Some of them are gimmicky tricks that you can achieve through third-party apps, but the new re-focusing feature was really fun to play with. In terms of image quality, the One M8 holds up pretty well. I’ve noticed that it sometimes makes images taken in bright sunlit conditions appear too light, but it takes better photos in low-light environments than the Galaxy S5 and second-gen Moto X. One of the most important factors, however, is that HTC’s Sense software is a bit less busy and easier to use than the skin Samsung uses on its Android phones. There’s a basic app grid, easily accessible quick settings, and a Flipboard-style news homepage HTC calls Blinkfeed. In my experience, there doesn’t seem to be much bloatware from HTC either, which is always appreciated. HTC is also very consistent when it comes to software updates. In the past, it’s ensured that most of its phones, whether it’s the company’s newest flagship or not, get the latest Android updates. Competitors such as Samsung and LG aren’t as consistent and reliable about this as HTC. The company also makes sure it’s own software features roll out to all of its devices too. 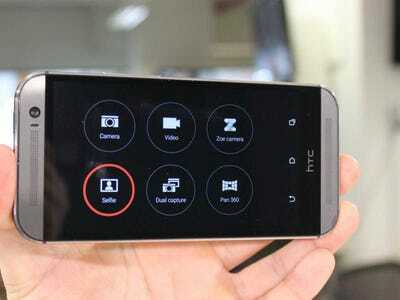 For example, HTC recently announced that the new camera features introduced with its Desire Eye phone will also be available for the One M7 and M8. In short, the HTC One M8 is a gorgeous phone with a nice screen, easy-to-use software, a great camera, and long battery life. It’s definitely worth a look if you’re in the market for a new Android phone. 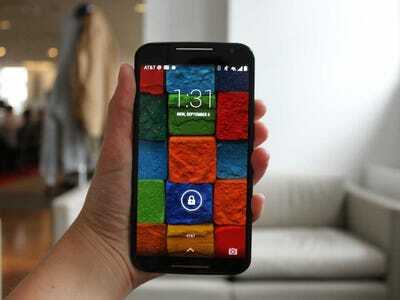 Motorola’s second-generation Moto X is also an excellent option if you’re shopping for a new Android phone. It’s also cheaper than the HTC One M8: AT&T is selling it for $US119 on contract, and Verizon offers it for $US99 with a contract. You can also buy it for $US500 contract-free. It comes with a near pure version of Android, which means you won’t have to deal with any bloatware or skins over Google’s stock edition of Android. The Moto X’s soft touch back and metal edges also make for an excellent build quality, although I still prefer the HTC One’s all-metal design. Ultimately, the decision here came down to the Moto X’s camera. It takes fine images in brightly lit conditions, but its low light camera was poor. It was a tough call (and I should reiterate that the new Moto X is still one of my favourite Android phones of the year), but the HTC One’s superior camera gave it an advantage over Motorola’s phone. 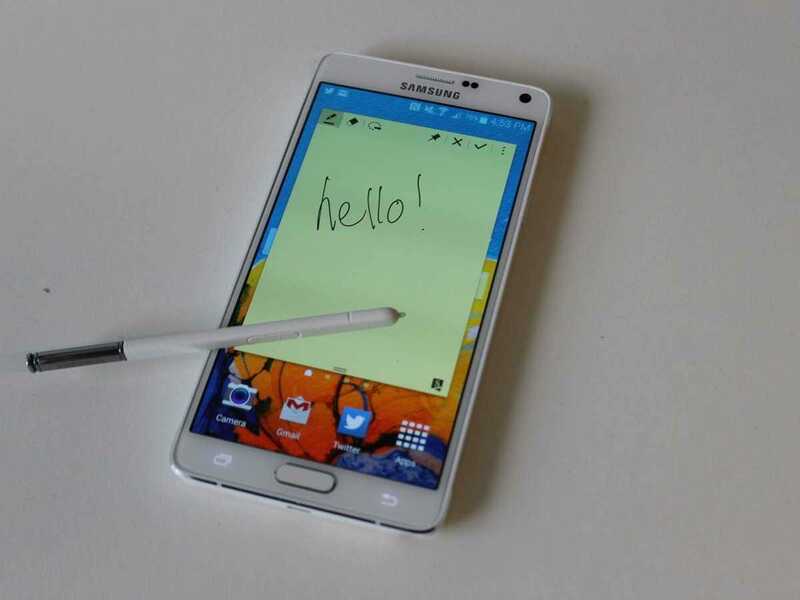 Get the Note 4 (if you’re sticking with Android, that is). It costs $US299.99 on contract, or $US700 contract-free. It has the best screen I’ve ever seen on a phone. And Samsung really knows how to make good use of the Note 4’s large screen. The battery life and camera are both superb, too. Samsung has improved on its Note phablet every year since the original one launched in 2011, and this is no exception. Although the screen size is the same as last year’s model, Samsung’s new phone is a bit slimmer and comes with metal edges that make it feel classier than its predecessor. We evaluated the best Android phones we’ve reviewed based on design, screen quality, their cameras, how easy their software was to use, and battery life. While the HTC One M8 wasn’t the absolute best in all of those categories, it ranked pretty highly in all areas and was the most consistent across the board.